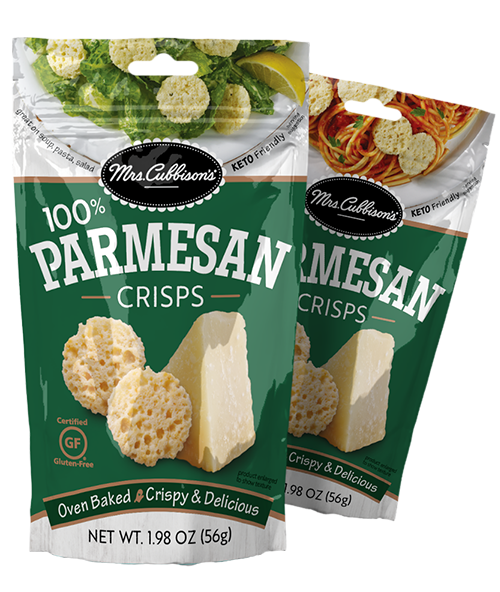 Try our NEW Mrs. Cubbison’s Baked 100% Cheese Crisps. These crunchy little bites of Parmesan or Cheddar are the perfect addition to salad, pasta, soup, or any dish you would normally top with cheese. They are crispy, crunchy and gluten free. They are the best thing since sliced cheese™. Click on the products below for more information including ingredients and nutrition facts.